It seems like my trip to New York was long ago. It just seems that time flies by faster than ever these days. I have been swamped with work since day one of my return! Yes, it is all good news and I am a happy artist! However, it wouldn’t feel right to jump straight to talking about myself and my art, at least not before discussing the things I learned, in terms of art, in the big apple. I found my favorite pieces of art in the Chelsea district. The area offers art for all art lovers. 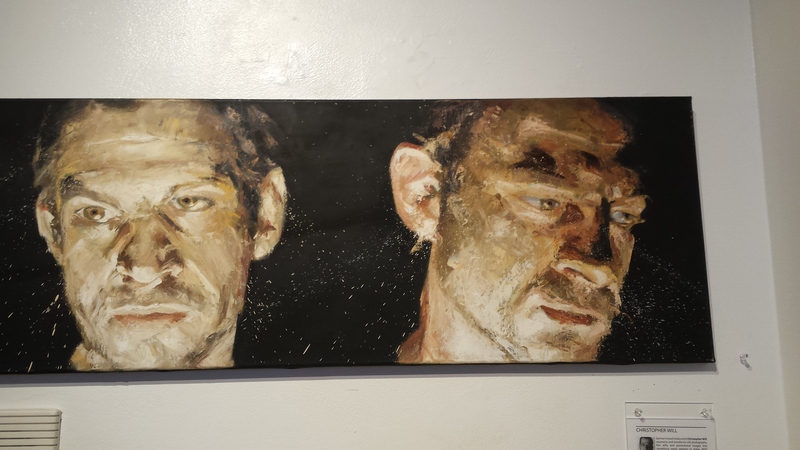 Yet, as I found out, the art being offered by galleries is of very high standard and limited to art lovers who enjoy figurative art and portraits. The best ones for me at least, were the “normal” ones, but the “twisted’ ones were also engaging pieces. They more I saw a painting with a disliking subject, the more I felt elevated to understanding the meaning behind the first glance. 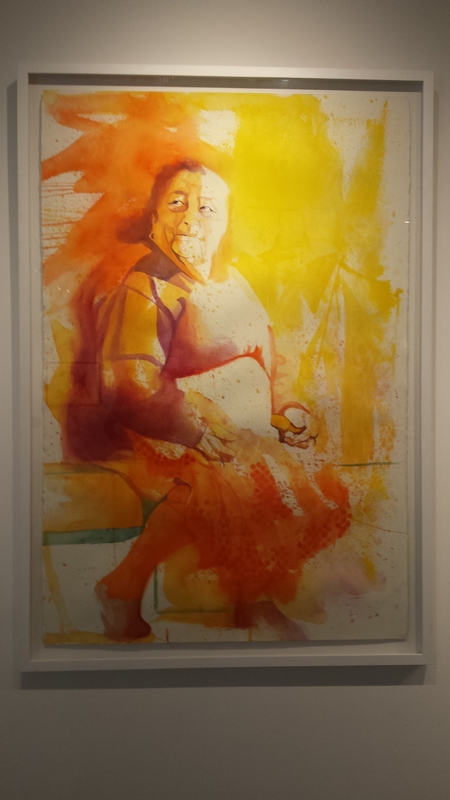 Watercolor piece in one of the many galleries in Chelsie. Image of the works by very talented artist, Lisa Yuskavage, whose work isn’t about sexual parts but about how society sees women, and their roles. A nice portrait painting in yet another gallery in Chelsea. A painting of Peter Munster, an artist participating in the same exhibition I participated in. 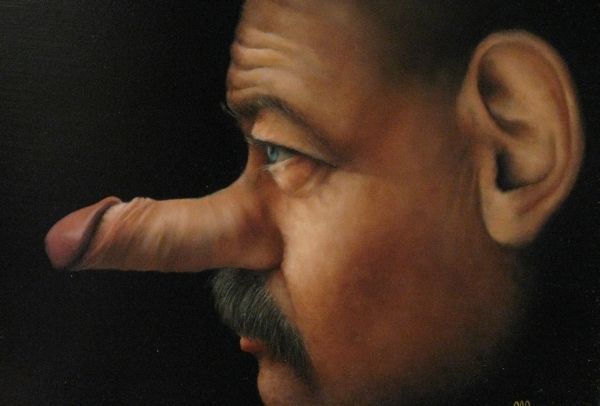 AND this painting isn’t called Pinocchio! Hence, as I reviewed the photos of the pieces I was privileged to see during my visit to NYC, I can conclude that New Yorkers do like skillful artists who can deliver interesting work with a story behind them. 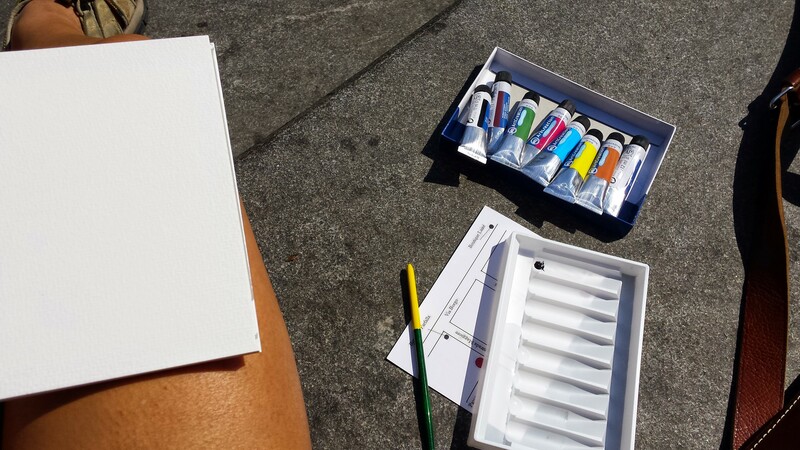 Sketching in New York city! 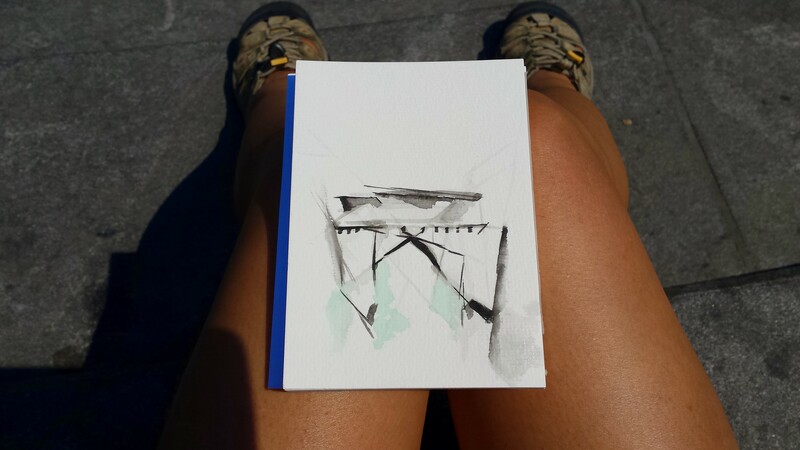 The sun was shining and the sky was blue on Monday so I started this week painting bit of New York city with my new artist friend, Heidi! We decided to head out to Washington square park. Heidi spotted this spectacular place a day before our visit. It was a hot day. 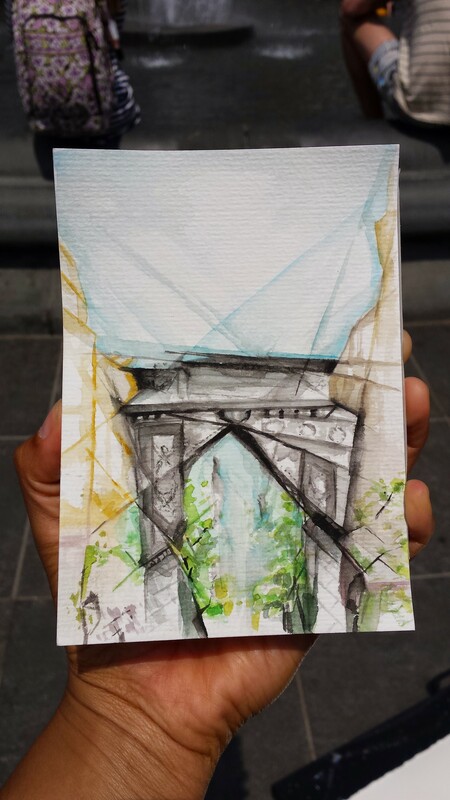 We chose to paint by the fountain where I got a bit more water on me then on my watercolor paper! After a sunburn and a few hours of painting, we headed back to the gallery, in lower Manhattan. There I was lucky to meet Johanna Monitzer, the cultural editor of Kitzbüheler Anzeiger publisher, Austria. We discovered that we had probably met before as we realized there and then that we had both taken the ferry to visit the statue of Liberty on the same day and on the same hour! 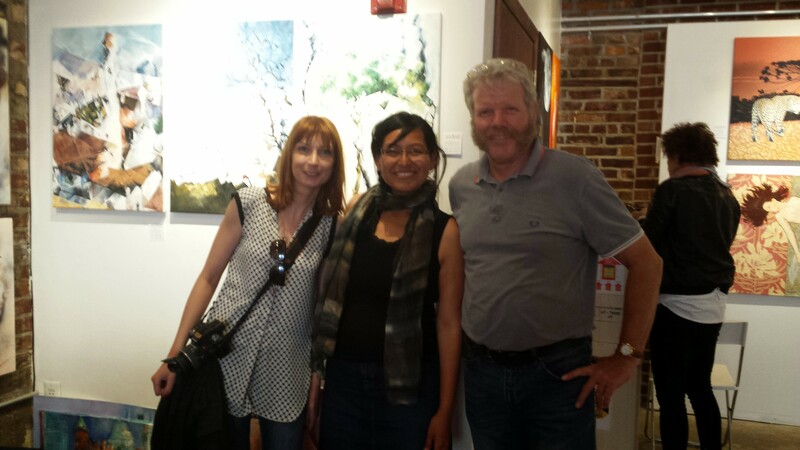 Johanna Monitzer, Rudolph Pigneter, gallery owner, and myself posing with my paintings in NYC. 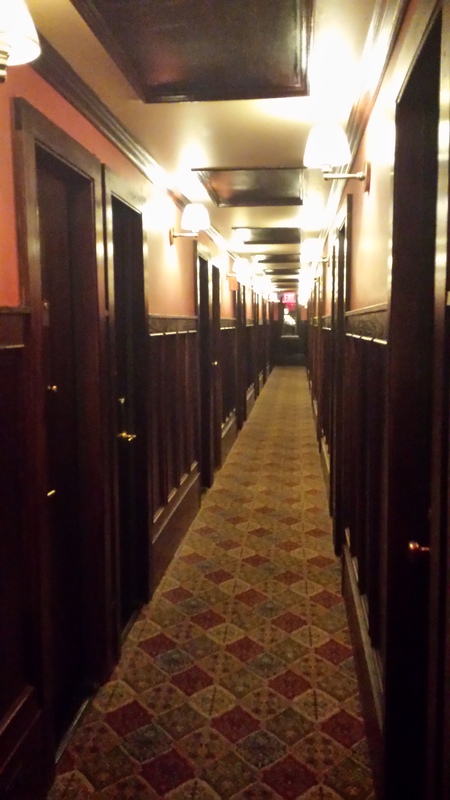 The Jane Hotel in NYC: a stay in NYC’s past. At last, at my final destination: NYC! I haven’t seen much of this famous and enchanting city, but the little I have seen has already impressed me! I am staying in Manhattan, in a beautiful old building which houses The Jane Hotel, on Jane Street. The neighborhood seems live and young…modern…a word that contrast the rich history of this area and the very own building I am staying at! You see, The Jane isn’t an ordinary hotel. It is a landmark in the city with lots of history. The most important event it ever hosted was the one in 1912, when the survivors of sinking ship, Titanic, stayed here while authorities carried out their investigations and such. I realize, as I sit here typing away, that my hotel in NY isn’t made of just bricks and mortar, but of history. If this is how I start my trip, I cannot wait to see what more this beautiful city has in offer!